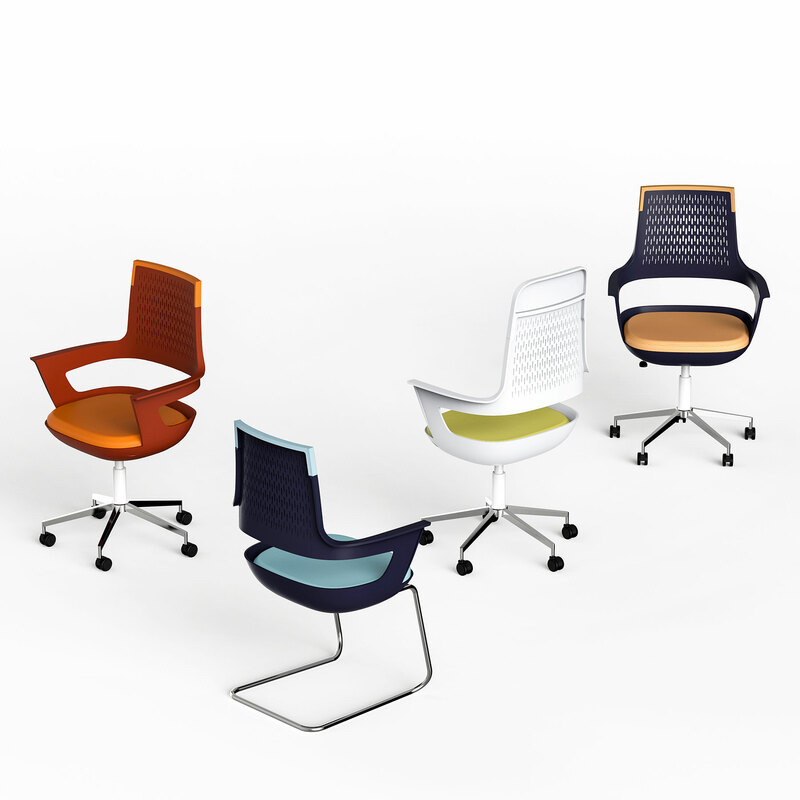 Una is the office chair that transforms into 3 variants. 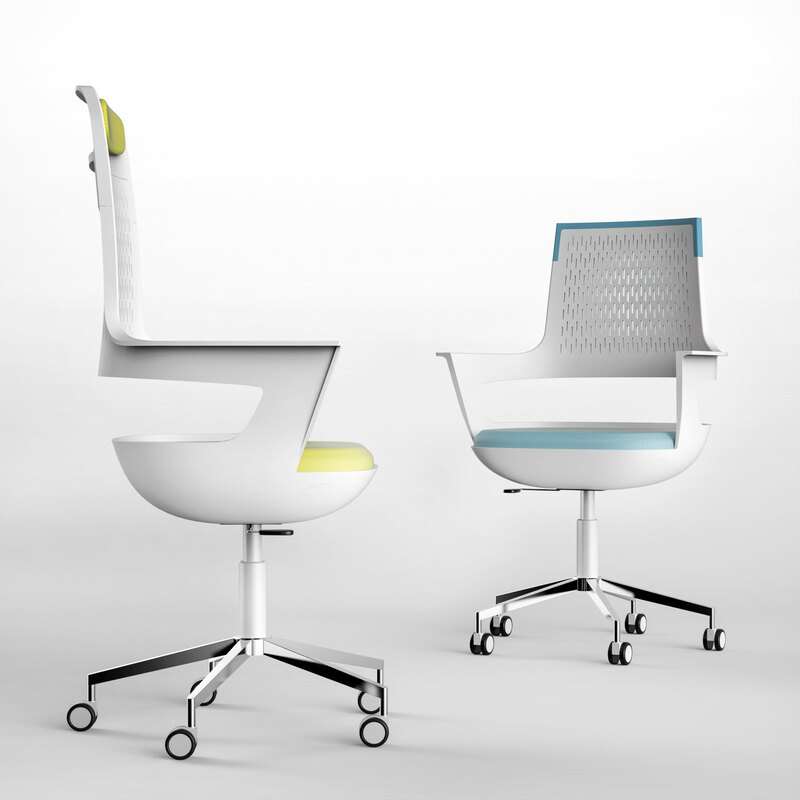 Una is a modern and versatile office chair that reflects the changing of the job environments in recent years. Latest offices are more dynamic, comfortable and informal: Una’s hybrid design takes inspiration from these principles, fitting perfectly the new trends. The main injection molded plastic structure is a modern and low-cost solution to make the product accessible. 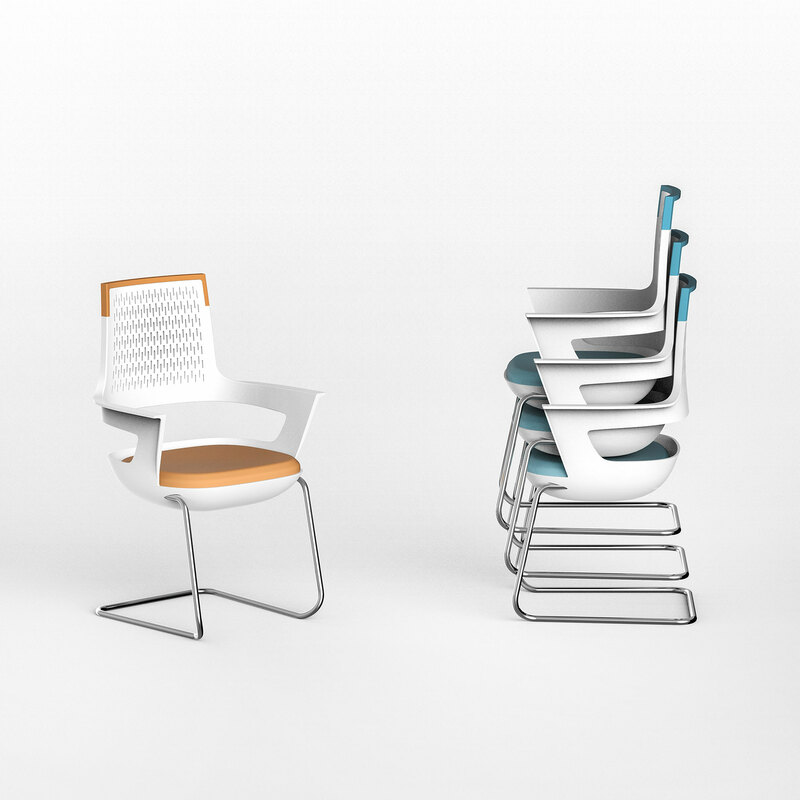 A limited number of complementary parts allows Una to be easily and quickly configured in the three main office chair variants: visitor, task and executive. 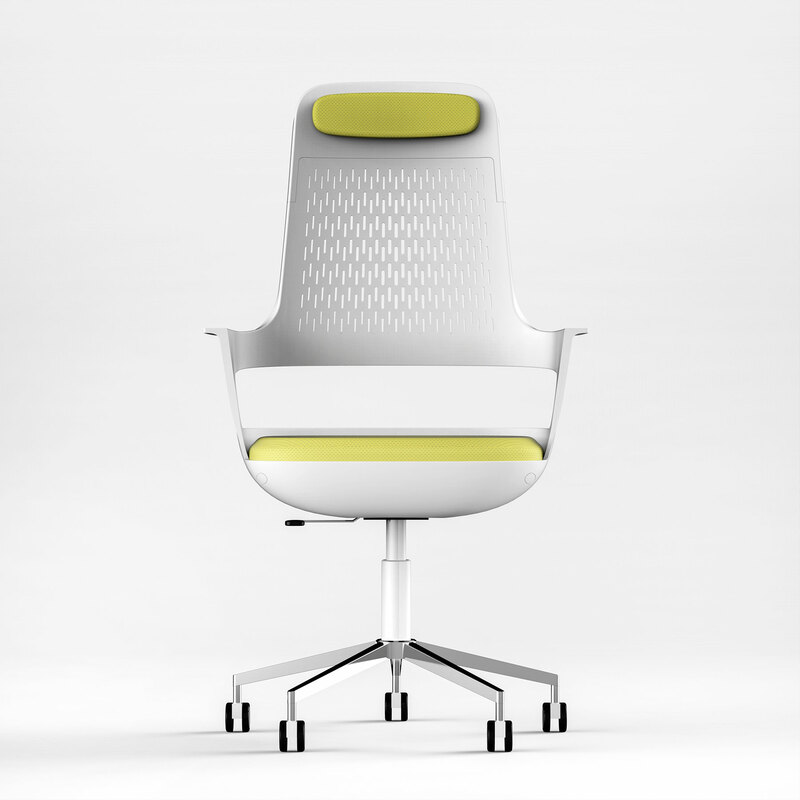 Una has been designed to be flexible and adaptable through simple performing solutions. 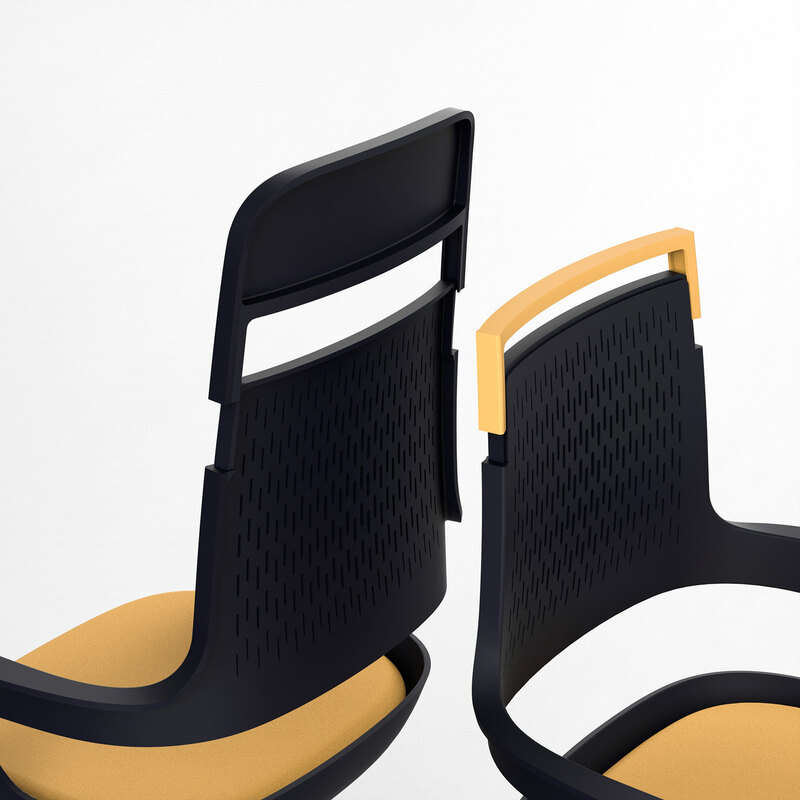 Una main structure has been designed to reduce as much as possible the components of the chair. The accessories (the headrest and the closing top cover) can be fixed to the backrest through fastener and snap systems, taking advantage of the elasticity and mechanical features of plastic. Moreover, the main body can be mounted both on static tubular base, both on wheels base.